On January 14 2019, XiaoMI launched the 4K version of Mijia Laser Projection Television, which has the same projection ratio of 0.233:1 as the previous version, and can project 100-inch huge picture in only 50 cm distance. 1500 ANSI Lumen Picture Brightness, with MIUI TV system, a large number of film sources, easy to operate, but also through the built-in AI voice system to control playback and even operate other Mijia smart devices in the home. Mijia Laser Projection Television 4K, as its name implies, has been upgraded to 4K resolution, reflecting more delicate picture details in the huge picture, and further improving the performance-price ratio with similar price level. Projection products are not limited by traditional TV technology, affordable prices can also see super-large screen, to meet the needs of consumers for large screen, and when the screen becomes larger and larger, the improvement of resolution becomes more and more important. As the name implies, Mijia Laser Projection TV 4K upgraded to 4K screen resolution, the same picture contains 4 times as the 1080P resolution. Information, the picture is more delicate, showing more details. 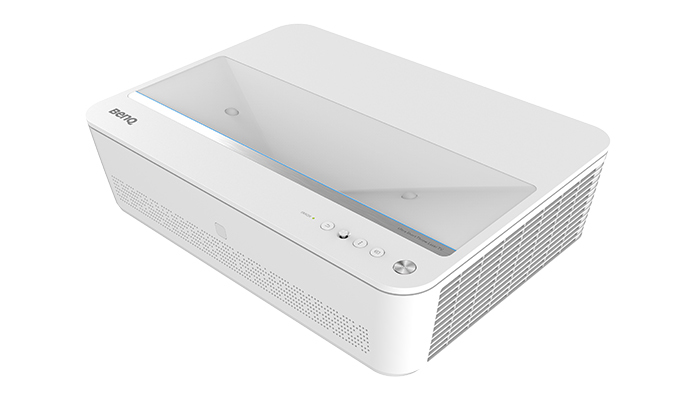 At the same time, Mijia Laser Projection Television still uses ALPD 3.0 cinema-level laser light source technology, the original contrast can reach 3000:1, and supports HDR 10 technology. On the basis of delicate pictures, it can show more details of the bright and dark parts of the picture, whether watching movies or playing games, and get better visual effects. 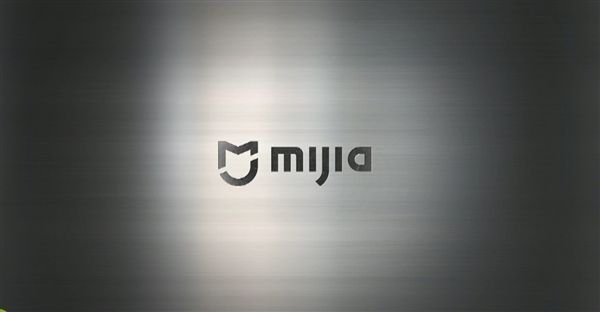 Mijia Laser Projection Television 4K still uses 0.233:1 large depth of field and ultra-short focus lens design. The fuselage can project 100-inch super-large picture only 24 cm away from the wall. The distance of 50 cm can project 150-inch huge screen, almost filling a wall, and it does not need to be placed as long distance as traditional short focus projection. It is difficult to walk, so it can be put on the TV cabinet without the trouble of wiring. Mijia laser projection TV 4K, brightness 1500 ANSI lumen, in actual use, even if not equipped with special curtain projection on the white wall can obtain good picture effect. The service life of the light source is over 25,000 hours. If it is used for 4 hours a day, it can be used for about 17 years. Mijia Laser Projection Television 4K adopts a high fidelity audio system specially designed and developed, which combines dual full-frequency and dual high-frequency which belong to Bose. It brings broader stereo sound effect and supports Dolby and DTS decoding. Powerful Dolby virtual surround and voice enhancement technology, let people completely immerse in the three-dimensional sound surround, have a better viewing experience. Mijia Laser Projection Television 4K is a fully customized modular hardware system with compact structure and compact shape. The shell is made of sandblasted PC without fingerprints. The size of the fuselage is only 410 mm x 291 mm x 88 mm. It can be easily lowered on the TV cabinet. With a wall, it can become a giant curtain family cinema. In such a small volume, Mijia Laser Projection TV 4K designed a dedicated air outlet channel, which can quickly send heat out of the fuselage, maintain stable operation and improve the service life of the machine. Mijia Laser Projection Television 4K is still equipped with two anti-direct-vision sensors, which can avoid visual impairment caused by children’s direct-vision light source. In addition, the principle of diffuse reflection imaging of projection, the picture is bright and soft and not dazzling. It is very suitable for children to watch TV, so that families can enjoy the experience of watching large-screen movies at home. Mijia Laser Projection Television 4K has great upgrade from the old version, which support 4K resolution and more HiFi Audio system. The most important factor, it is cheaper as before. But the brightness of light is same as the old one, it is very regret. As the same, Mijia Laser TV is produced by Appotronics, which is the leading laser projection technology company. Among all display technologies, tri-color laser TV can reproduce the rich colors of the objective world most truly. Las Vegas, USA, on Jan. 8, the 2019 International Consumer Electronics Exhibition (CES) officially opened. The popularity of Hisense Pavilion and Tri-color Laser TV 100 inch L9 became the focus of the exhibition. The product removes the phosphor wheel, RGB tricolor completely depends on three colors of laser emission, can accurately display various tones, so that the picture presents an unprecedented lifelike, can be called the top quality experience. DELL recently launched its high-end 4K laser projector S718QL, support for native 4K resolution and HDR, which also claims to be the world’s first high brightness 4K ultra high definition ultra short focus laser projector. As plan it will comes out on July 19 and will run you $6000 when it hits. But now it lunched with more attractive discount price at Dell.com, don’t lose the good chance. This high-end 4K UHD imaging laser projector can project from walls 4 feet distance to 100 inch screen, at a distance of 9 inches, it can create 130 inch (diagonal measurement) the maximum possible image. It is an amazing 4K Laser TV. And gives the design of the equipment, even in a compact room can also use S718QL to give the audience a big space. Xiaomi, one of the high-tech companies in China, as the industry’s best cost-effective products which released, every new product release will cause a reign of terror. The most typical example is Xiaomi released a robot vacuum, quickly replaced the existing Chinese robot vacuum brand, to become the first sales brand; Just launched the No. 9 self balancing scooter less than half a year, sales have exceeded one million. This time, Xiaomi brings the latest laser TV Mijia Laser TV, will detonate the market size of the next billion. Laser TV has been called the “fourth generation TV” by the television industry, and its emergence will bring about a revolution in the history of television. But what kind of laser TV is the product that meets the demand of the living room and the family cinema? With this thinking, more than 20 years in projection industry, BenQ, in April 26th officially launched its two ultra short throw laser TV, i950L and i955L. Their arrival will bring “Great Beauty Life” to home theater users! 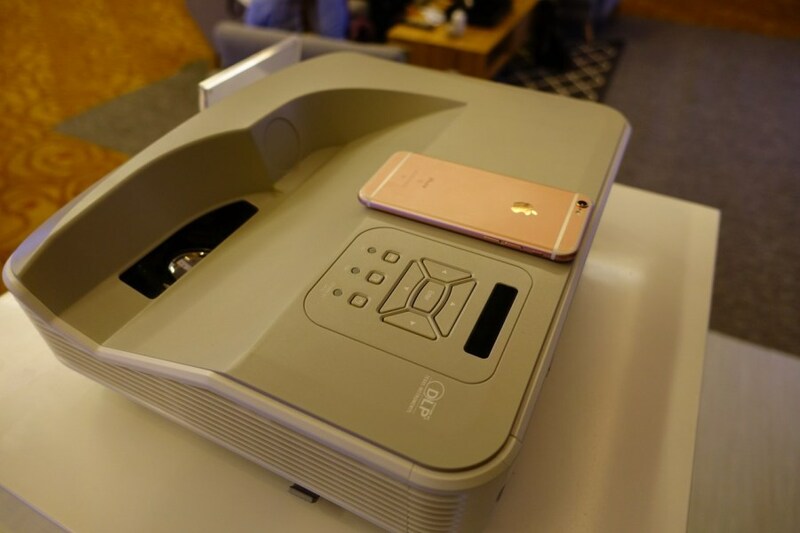 XGIMI is the best brand of micro projector sales in 2016, but there has been no high-end laser TV. In January 5th, the 50 International Consumer Electronics Show (hereinafter referred to as CES) opened in Las Vegas. As the world’s most influential consumer electronics show, CES is also seen as a global consumer electronics vane. XGIMI shows the display of 120 inches dual color 4K laser tv on the CES 2017. TV has been occupied of every family living room since the birth. But more higher requirements on TV now, ordinary TV has been very difficult to meet the users of large screen, high definition, rich colors and space saving many needs. The advent of laser TV then began to change this pattern. As the world’s leading technology brand projector, Optoma first launched the LC1 and LCT100 ultra short throw laser theater projector, has been liked since embraced by the majority of users. Last month, as an upgraded version, LC2 and LCT110 launched and will be beyond the classic. They inherit the previous generation of many advantages and also improvement in detail, will become a new generation of leaders of laser TV! As Quartz mention, Apple has a secret patent: transparent laser TV which the light source is lasers last year. For some technology issues, the power and quality of image, Apple suspend such crazy laser TV project. If not, Apple develop it underground and launch with a revolution way, another iphone in TV industry. July 11, 2016 — “The world is looking at me.” On the eve of the UEFA Euro 2016 Final, an event that has attracted much attention worldwide, its sponsor Hisense, China’s largest TV manufacturer in terms of sales volume, fulfilled its promise to debut the world’s first 4K wide-angle laser cinema television in Paris, garnering a huge amount of attention. LED backlight LCD televisions now dominate the market, with their larger, decidedly more expensive screens. 100-inch 4K LCD televisions are typically priced at US$90,000 per unit. The laser television launched by Hisense, achieving what the world hasn’t achieved with 217 patented technologies, outstanding optical engines, high-resolution lens and high-precision manufacturing processes, delivers lightness and color saturation achieving or surpassing those of LCD TVs. More shockingly, the Hisense television is priced at just over US$10,000 per unit, 1/10 the sales price of LCD TVs with same size screens. The 4K LCOS laser projector rolled out earlier by Japan-based Sony are priced at US$50,000 per unit.